Although the auto market in India is not really booming right now, Tata Motors is looking to expand operations in international markets. In relation to this, the company has unveiled its very first fully integrated 3-S Commercial Vehicle Dealership in Yangon, Myanmar, in association with its business partner Apex Greatest Industrial Co. Ltd (AGI). The new facility has been established in order to provide a base for the coming up of more dealer shops in Myanmar as well as to provide facilities like Service, Sales and Spare Parts to the company’s entire commercial vehicles lineup. The inauguration of the facility was done lavishly and was attended by several important people like, Mr. R. T. Wasan, Head – International Business, Commercial Vehicles Business Unit, Tata Motors, Mr. U Win Myint, Hon. Minister of Commerce, Myanmar and Mr. U Kyi Thein, Chairman – Apex Greatest Industrial Co. Ltd. The company showed off several commercial vehicles from its product portfolio, including the Tata Ace, Tata Super Ace and the Tata Magic. Not just these, there were also present 5 different fully-built models in the SCV range and also truck and bus models.. According to Mr. R. T. Wasan, Head – International Business, Commercial Vehicles Business Unit, Tata Motors, Myanmar is a vital market for Tata Motors in the ASEAN group of nations and the company already has over 400 commercial vehicles present in the country. 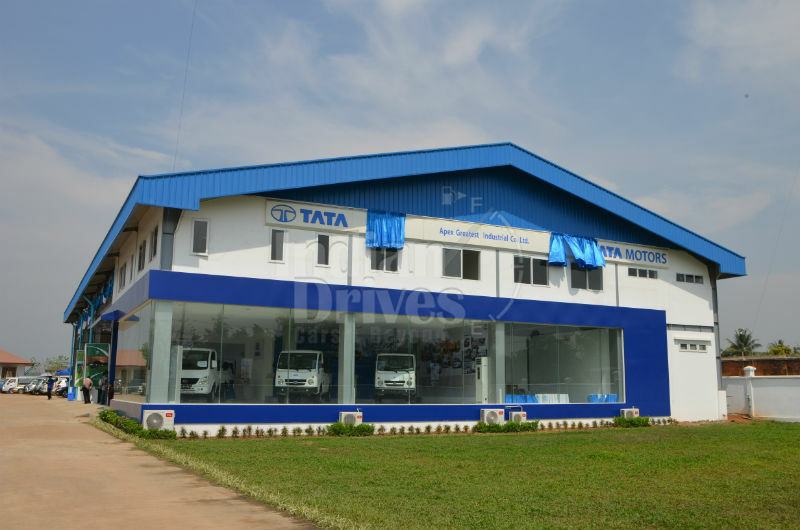 With the help of the new facility, Tata Motors will now be able to enrich the customer experience offered by it to its Burmese customers through a diverse lineup of commercial vehicles. He also added that the company is looking to open two more similar facilities in Myanmar. Mr. Rudrarup Maitra, Regional Head – South Asia & Far East, Commercial Vehicles Business Unit, Tata Motors, speaking at the ceremony described the newly-opened facility, which was located over an area of 9,000 sq metres and boasts of a 10-bay workshop and space kept aside for workbay and display expansion in the coming years. The facility also offers a contemporary training service for sales and service technicians which is based on the company’s e-learning modules. It is clear that Tata Motors is planning to expand aggressively into Myanmar, with the Indian auto major securing a fresh turnkey contract with Myanmar Automobile & Diesel Industries Limited (MADI), an initiative of the Ministry of Industry, Government of Myanmar. The contract is for Tata Motors to establish a 20 million dollar heavy truck assembly plant in central Myanmar at Magwe, which will be funded by the Indian Government.